Some days are “do nothing” days. And, if we’re on vacation, hopefully “doing nothing” means sitting on the beach with a fruity cocktail in-hand or jumping in the waves, if we’re feeling particularly ambitious. 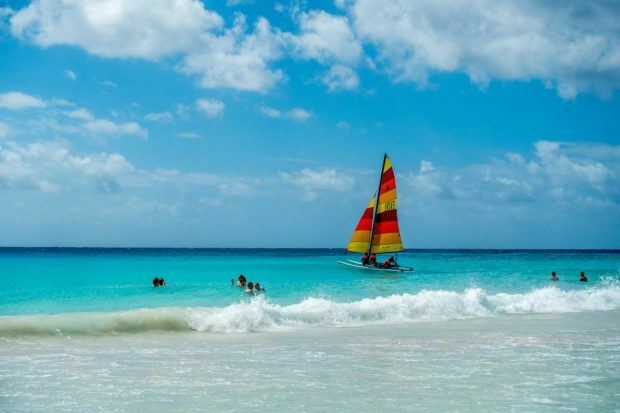 And that’s exactly how we spent our day at Rockley Beach in Barbados. 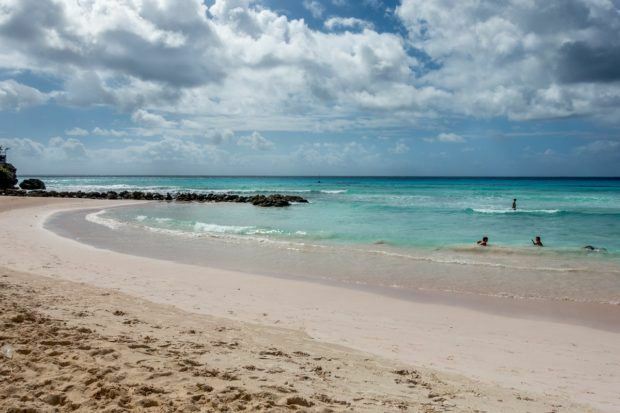 Before we started planning for our New Year’s cruise, we knew almost nothing about Barbados (minus Rhianna, of course) and even less about Rockley Beach. But after a bit of research, we became convinced it would be our home for the day. 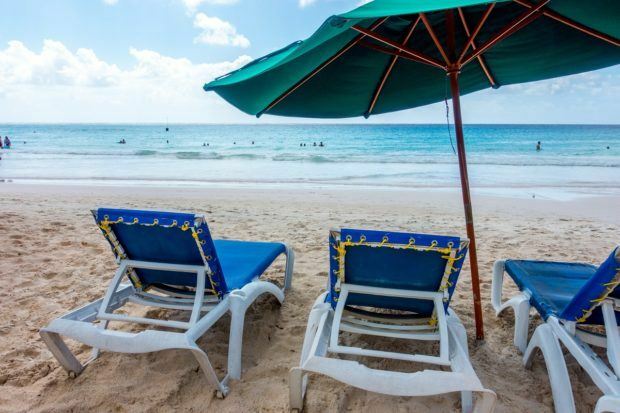 Our criteria for a good shore excursion are simple—not super crowded, not super expensive, nice beach, blue water. Sometimes finding all of these elements in one place within a reasonable distance of the port can be more of a challenge than you might imagine. But we knew we made the right decision when we found Rockley Beach. 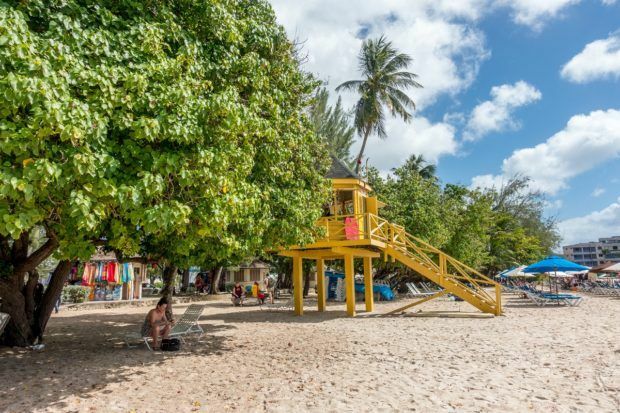 Near the Bridgetown port where our ship docked, Carlisle Bay is one of the most popular places to spend the day. And while it seems to be a beautiful spot, everywhere we found—from the delicious-looking Lobster Alive to the destination Boatyard—seemed very expensive. Not to mention that during the height of cruise season, the Boatyard is often full before 10am. Some people swear by it. Not our scene. 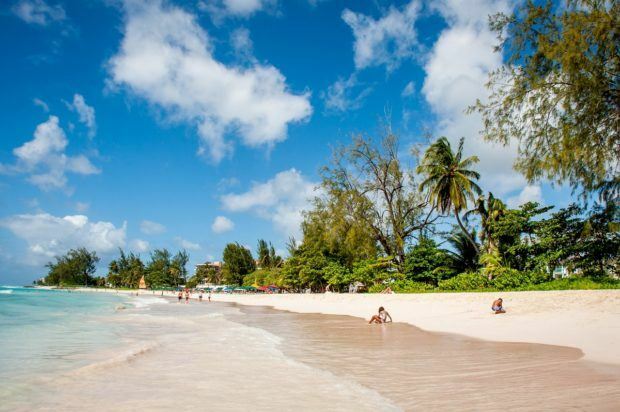 Only 10 minutes farther down the coast was the pristine and relatively quiet Rockley Beach. We pulled up some chairs at the Tiki Bar and never looked back. 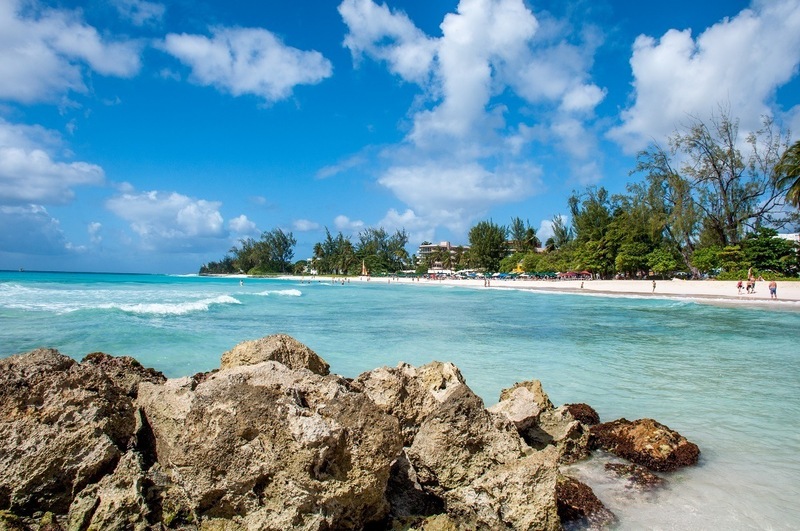 Rockley Beach is dotted with a few bars and kiosks selling drinks, food, and souvenirs. 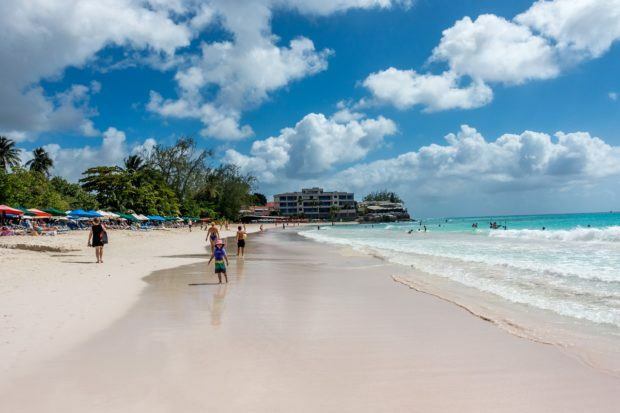 At its southern end is Accra Beach Hotel, so it’s sometimes called Accra Beach, too. Whatever you call it, it was a little piece of Bajan heaven for us for the day. For $30 in Barbadian dollars (USD $15) at the Tiki Bar, we got two chairs, an umbrella, and $30 to spend on some fine concoctions at the bar. If you’re doing the math, that essentially means our seaside real estate was free. We spent the day doing nothing. We lounged. We sipped. We floated. It was fabulous. At one point, we ordered some hamburgers. We debated whether we liked the mojito or the rum punch better. If we were being more ambitious, we could have rented a boogie board, tried stand-up paddle boarding, or even taken a surf lesson nearby. 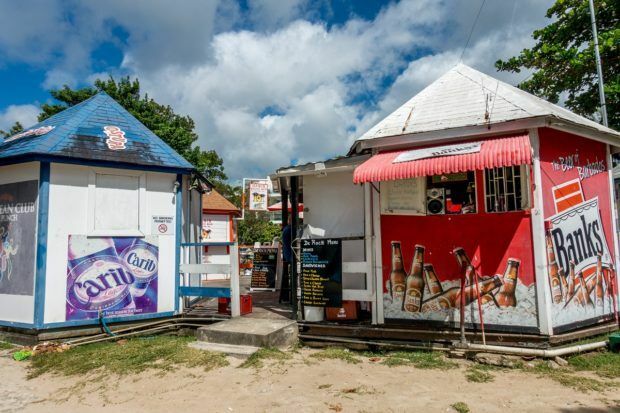 We briefly considered walking down the beach to another restaurant for the local Barbadian food (we’d heard good things about the national dish: Cou-Cou with flying fish). While we were curious, it wasn’t going to happen. It was the first day of vacation. And this first day of vacation was made for doing nothing. At the cruise port, we wanted a traditional taxi but instead ended up in a shuttle that made stops at a few popular beach clubs/bars. We paid $7.50USD per person for the one-way ride to the Tiki Bar at Rockley Beach. For the return trip, we met a taxi van at the beach’s taxi stand. 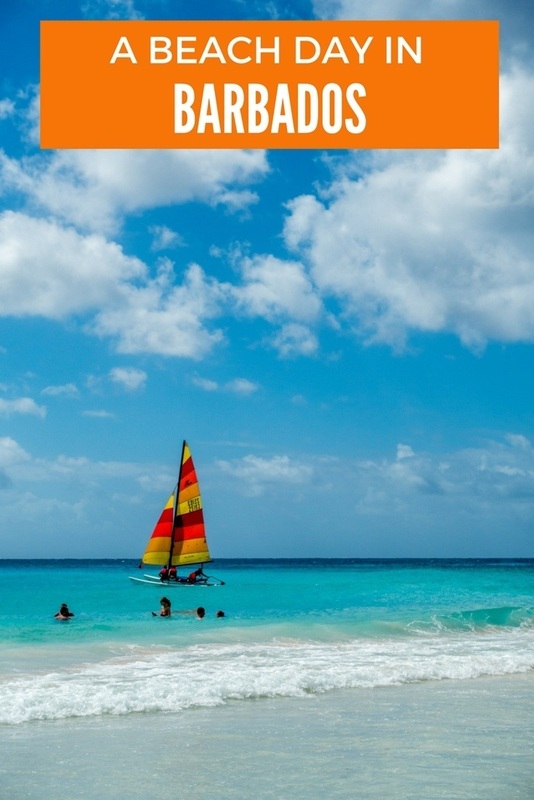 Knowing the conversion rate between your home currency and Barbadian dollars (BDS) is very helpful as almost all prices we saw were written in Barbardian dollars, although US dollars are universally accepted. As of June 2018, USD $1 is BSD $2. Drinks made with premium spirits may be much pricier (50%+ more) than those made with well spirits, and the cheaper versions are still great. 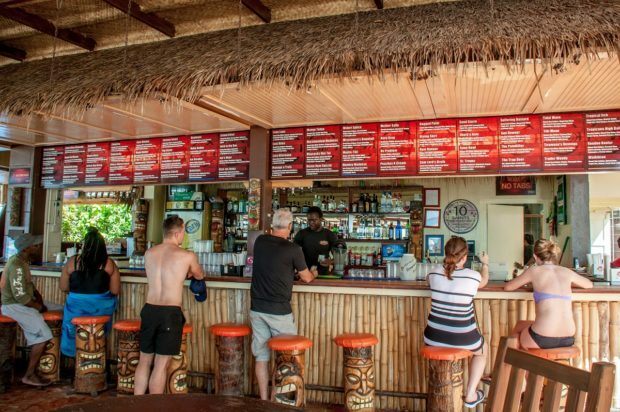 If you’re ordering food when the Tiki Bar is busy, it may take up to an hour. Order before you’re really hungry. You’ll thank us later.